As a girl who struggles to find jeans that fit properly, I feel it is my duty to share these with you. Gap sells these. 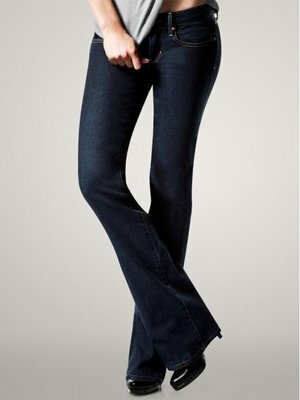 1969 “Curvy” Bootcut Jeans. Worth every penny. They aren’t too low, not too high (mom jeans still aren’t cool — sorry), and they cover the belly pooch. AND, they don’t gap at the back!!! AND, they stretch! My parents picked these out for me and gifted them to me for my birthday. ONE keeps calling them my “pajama jeans” … maybe because I don’t want to take them off. And I could sleep in them, if I wanted to. I have them, too! Love them….